It's that time of year again. Apples everywhere and in everything. With our neighbors trees full of ripe apples that are free for the picking, we're getting pretty creative about how to use the juicy reds. If you want to spruce up your table for a dinner party or dinner duo date with the hubby, here's a cute little fall inspired centerpiece that involves little work...which you know is the name of my game. 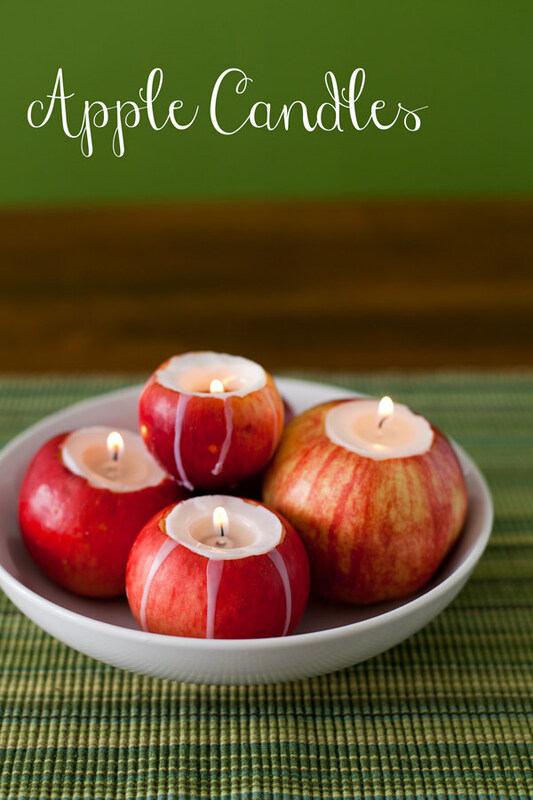 All you need for this DIY decoration are a few apples, tea light candles, and a knife. First, take a tea light candle and put it on top of one of your apples and trace around it with a knife. This will show you where to cut. Then, cut out the circle and dig it out so that it is deep enough to put the tea light inside. Next, set (or shove, in my case), the candle into the opening. Perfecto! Now repeat with as many apples as you'd like. Light and enjoy some apple inspired ambiance! I'm no Martha Stewart, but I do love myself a good craft. And if it's easy, all the more reason to really love it. I know there are moms out there who like to sew ten thousand piece quilts and make there own cheese, but at this stage in life, I'm into DIY projects that I can do in an hour or less, without too many complicated steps. Someday I'll sew a quilt. I promise. But until then, I'm tackling projects that can be completed during nap time. Well, this little DIY number sure delivers. 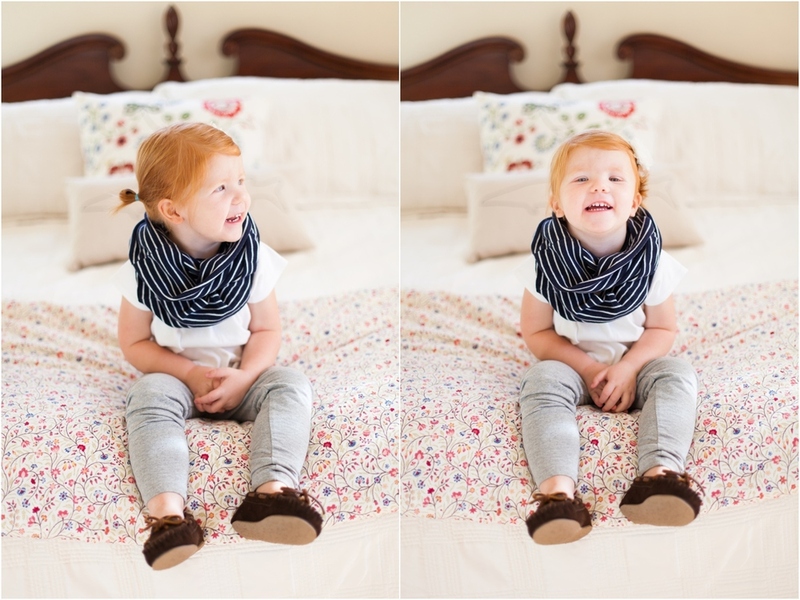 In under 10 minutes and with a budget of less than a dollar, you can have your little one adorned in a cute scarf for this brisk fall weather. Under 10 minutes? Oh, yes you can. 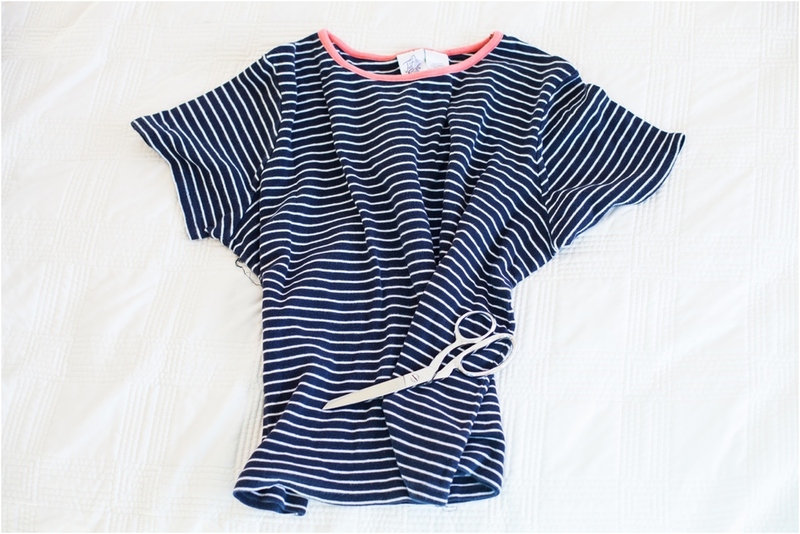 All you need is a tshirt and a pair of scissors. 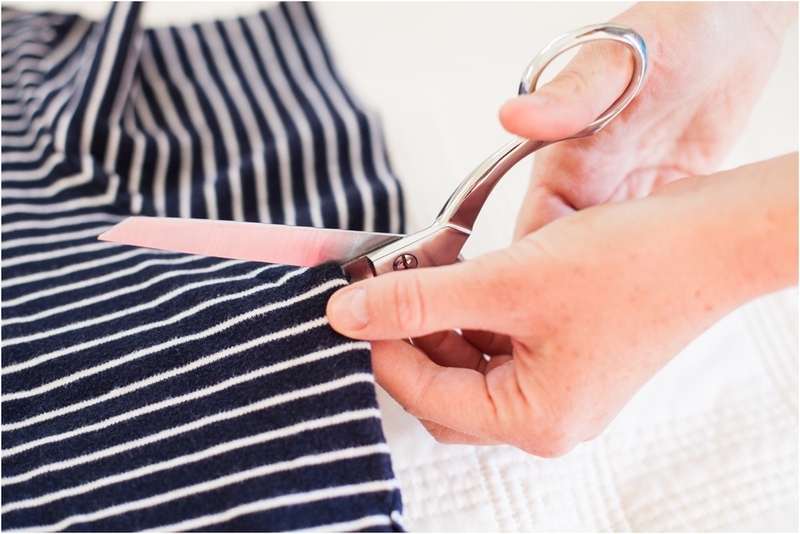 The tshirt needs to be 100% cotton so that it doesn't fray once you cut it. 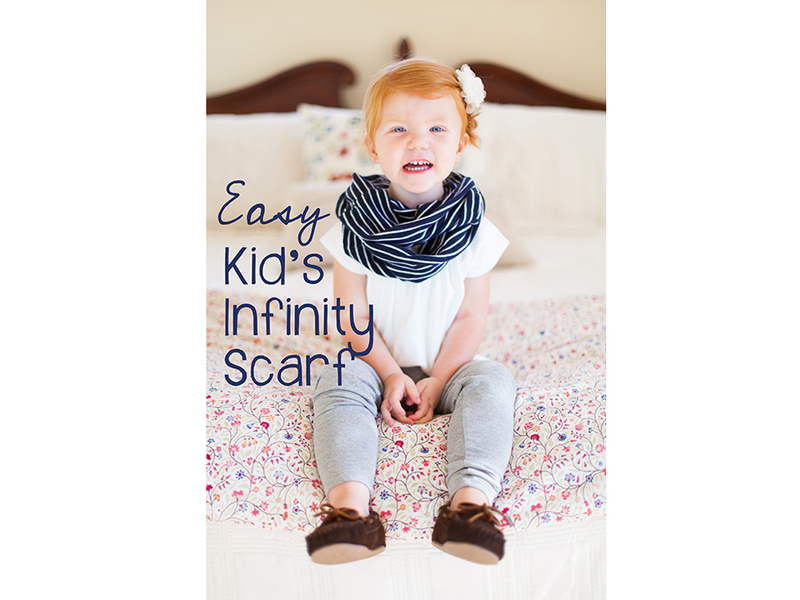 Be on the lookout for something Large or Xtra Large so that it will be wide enough to wrap once for your final scarf. I found this little gem at a thrift store in Curtis, Nebraska this summer. I filled a whole bag full of these for $1. That's the kind of price that makes me smile. First, cut across the tshirt somewhere below the armpit, depending on how wide you want the scarf to be. Next, cut off the bottom of the tshirt above the seem. And, voila! You are done. Now all you have to do is wrap it around you're adorable little munchkin.